Mazda vehicles are known for their cool style and class. The stability of the drive train and award-winning safety features make this vehicle stand out from the crowd. When it comes to maintaining a Mazda vehicle, you must take it to the most reliable mechanic. If you are in Knoxfield or any other nearby suburb, you can bring in your Mazda to Fineline Automotive for professional services. No matter the service or repair, our factory trained mechanics can likely do it. Mazda recommends servicing your vehicle every 12,500 miles or every 12 months, whichever comes first. Following manufacturer recommended service schedule helps your vehicle operate as safely and efficiently as possible. At Fineline Automotive, our certified mechanics will work with you to ensure that your Mazda is properly maintained. We will also remind you when your next service is due, so you can be sure of following the factory scheduled service intervals. What Makes Us The Best Choice For Your Mazda Service? We employ factory-trained Mazda specialists. We only use genuine Mazda parts while performing repairs. 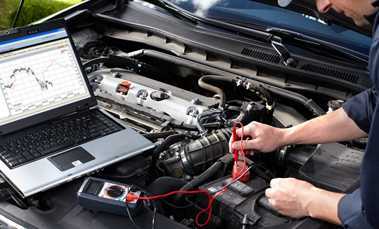 We carry out Mazda servicing to the main-dealer standards. We stamp your log book, increasing your car’s resale value. Would you like to know more about our Mazda services? Feel free to call 03 9764 1655 and talk to our Mazda specialists now!